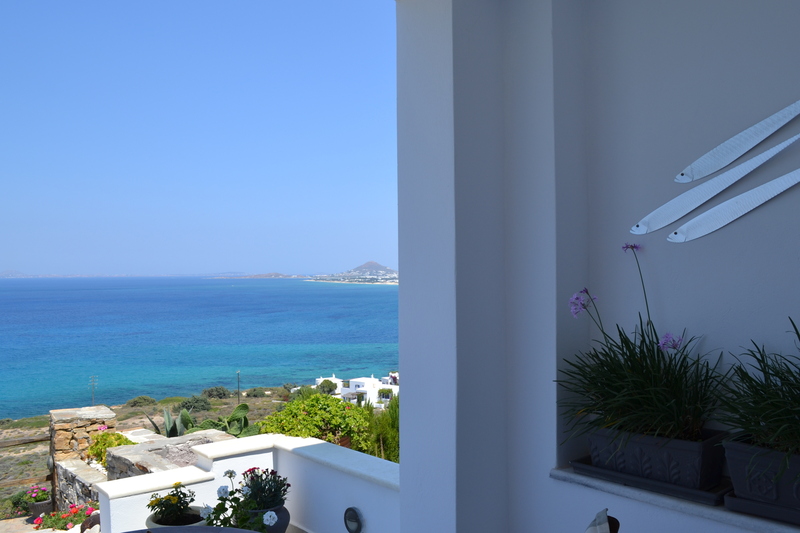 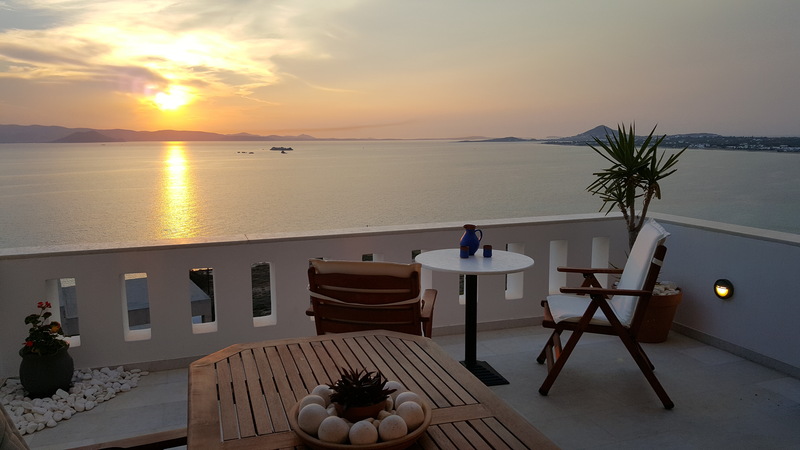 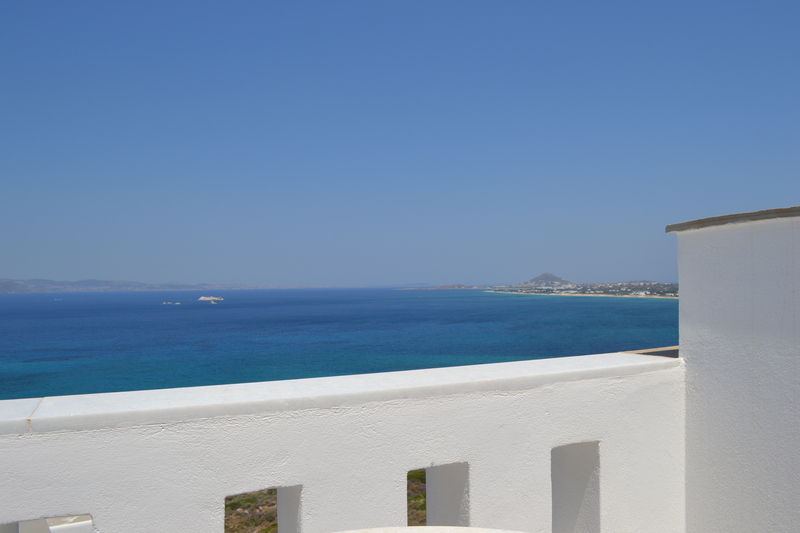 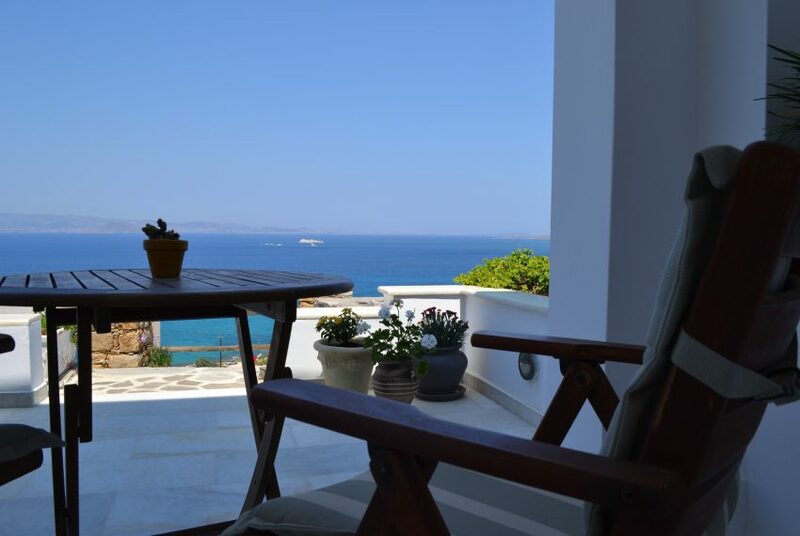 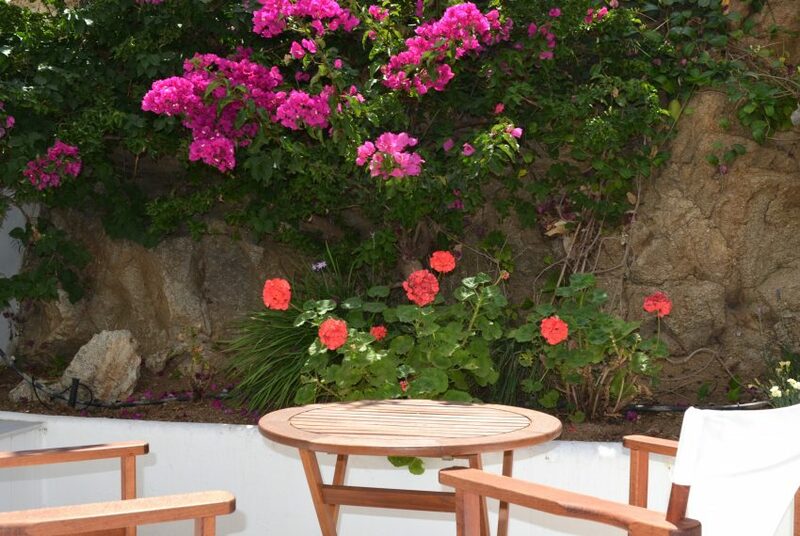 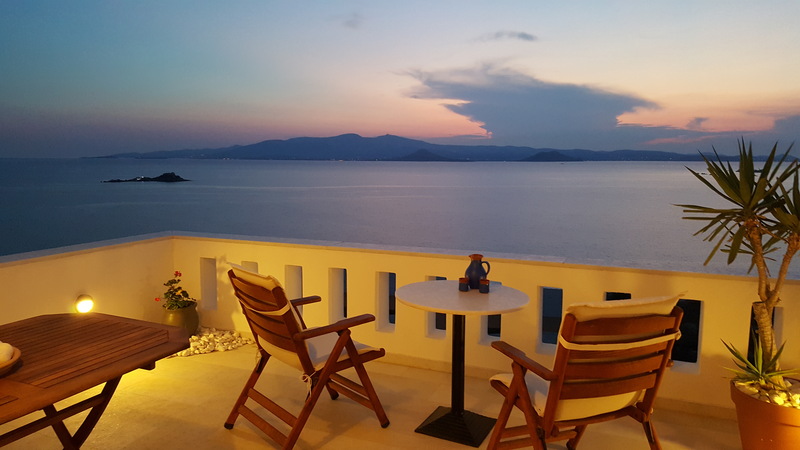 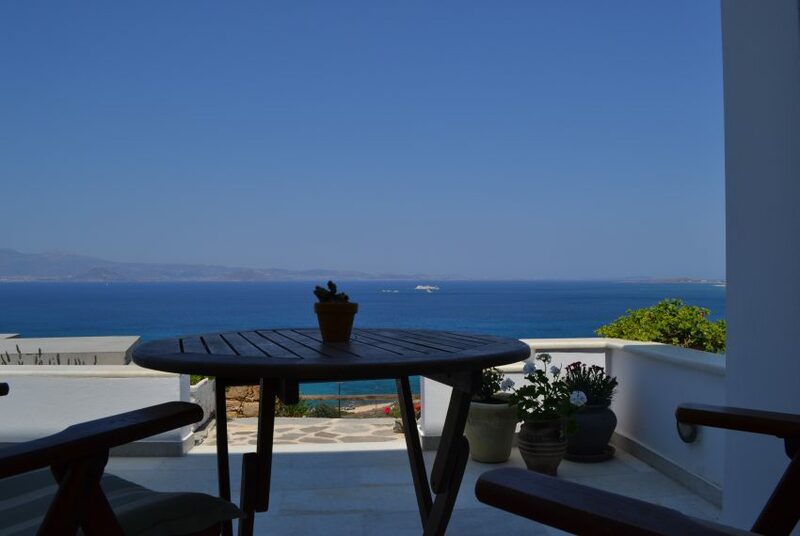 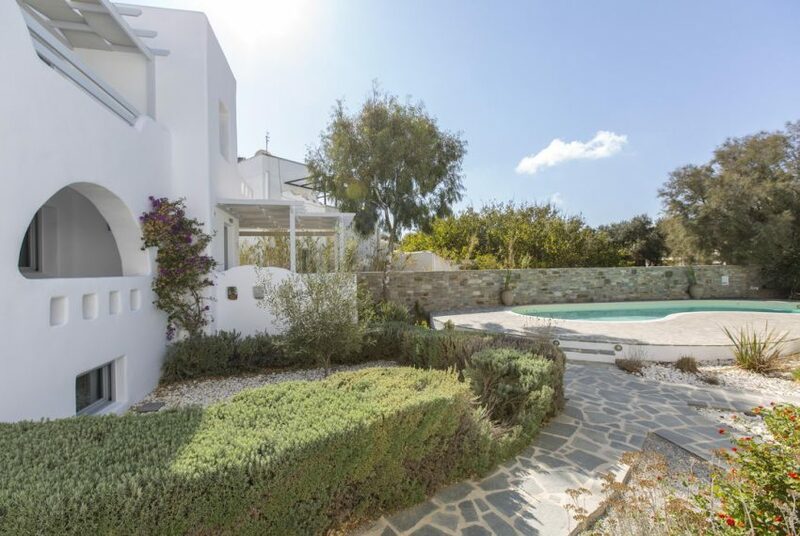 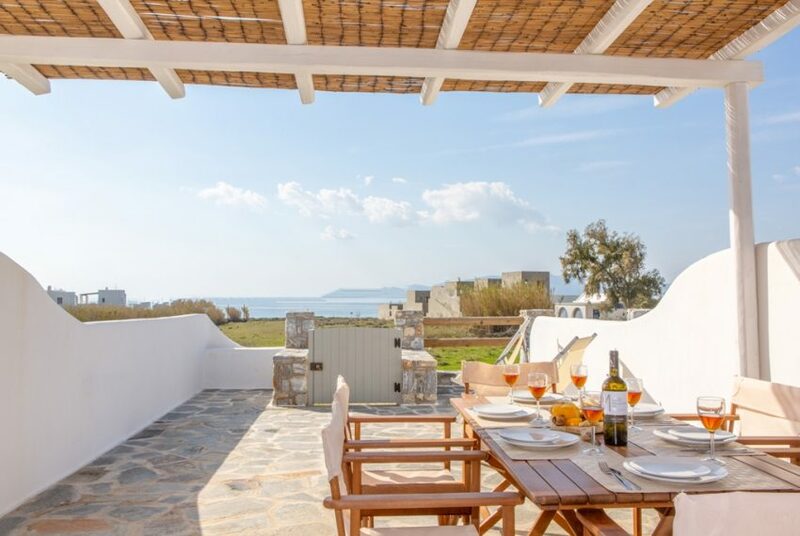 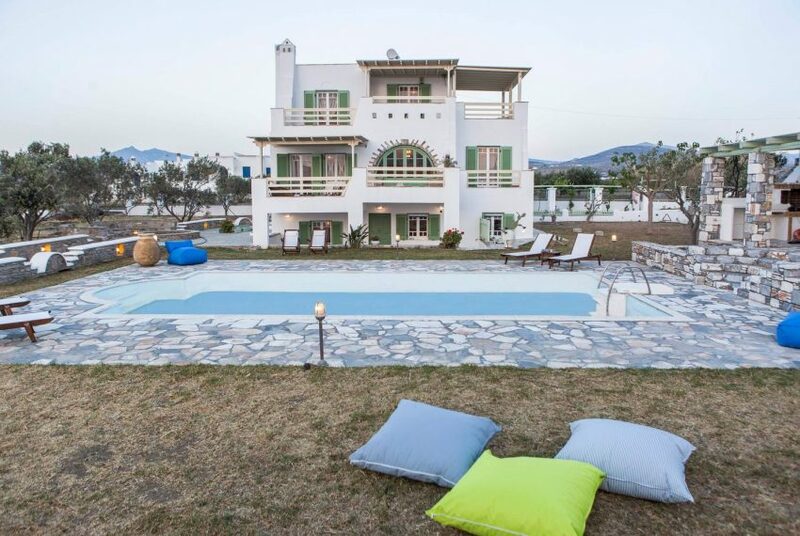 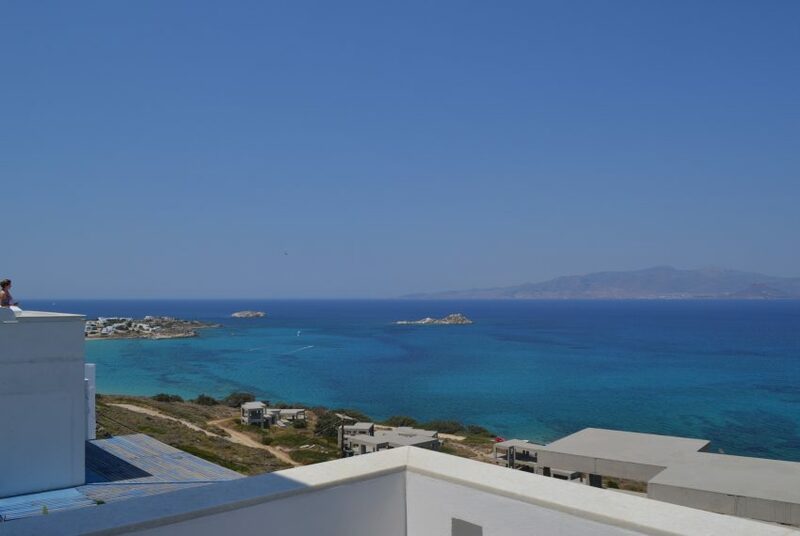 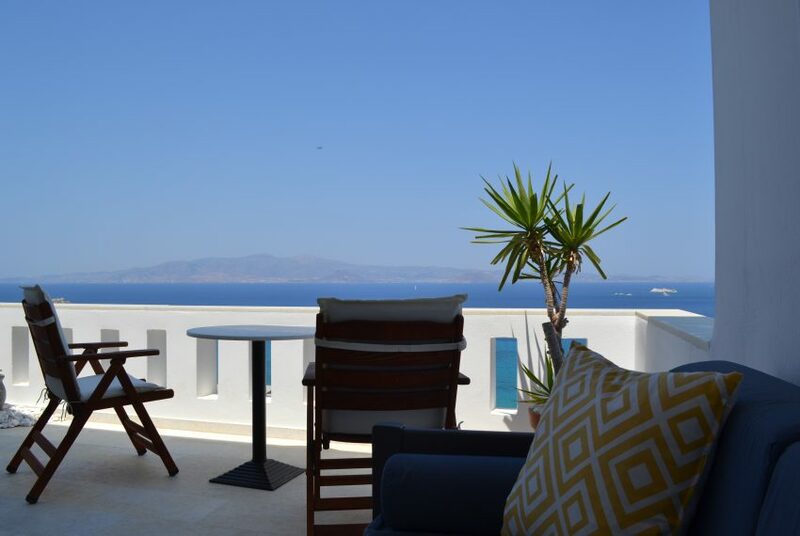 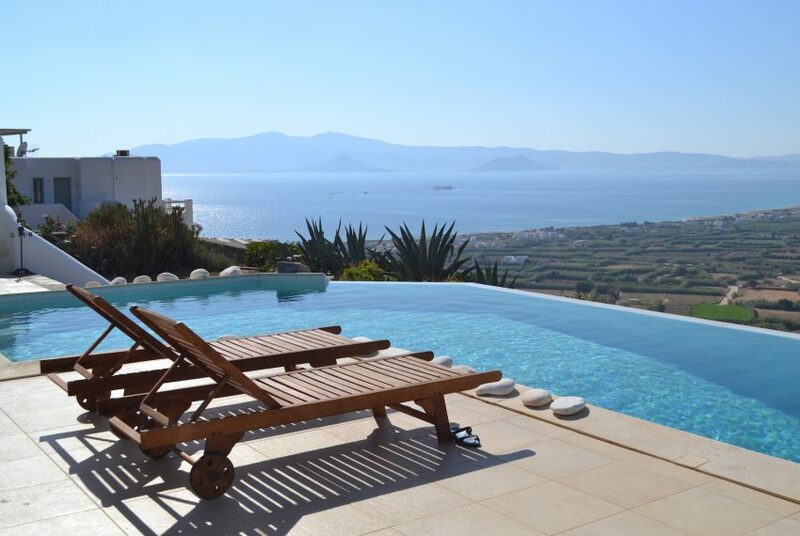 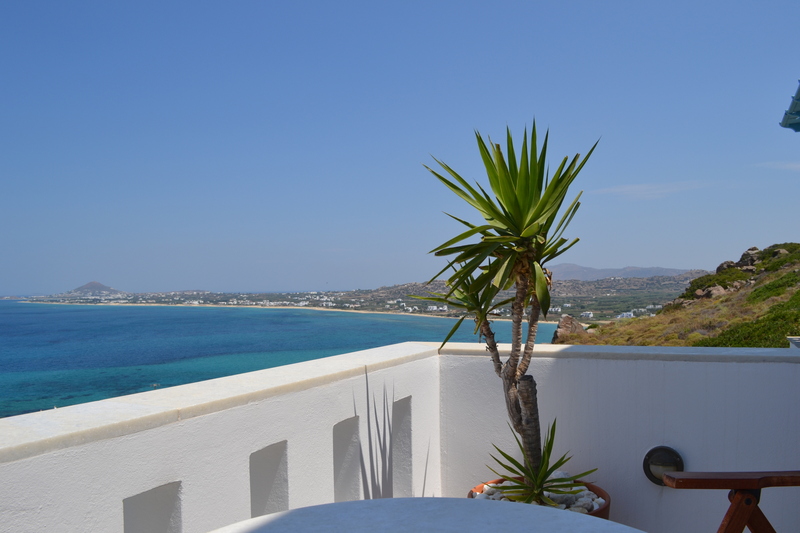 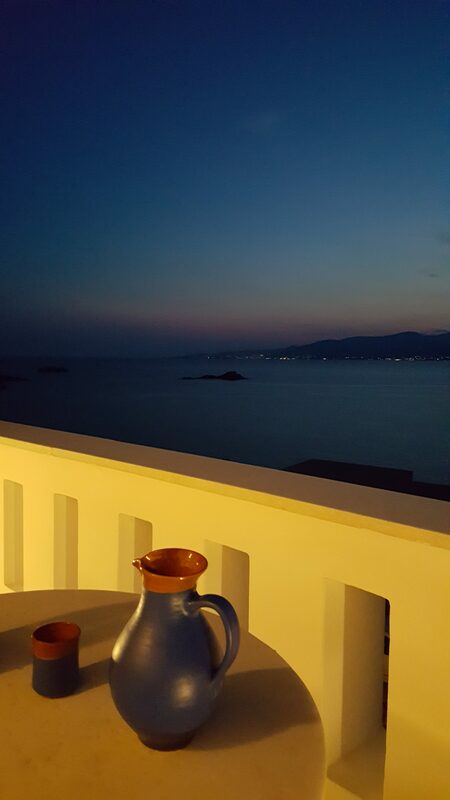 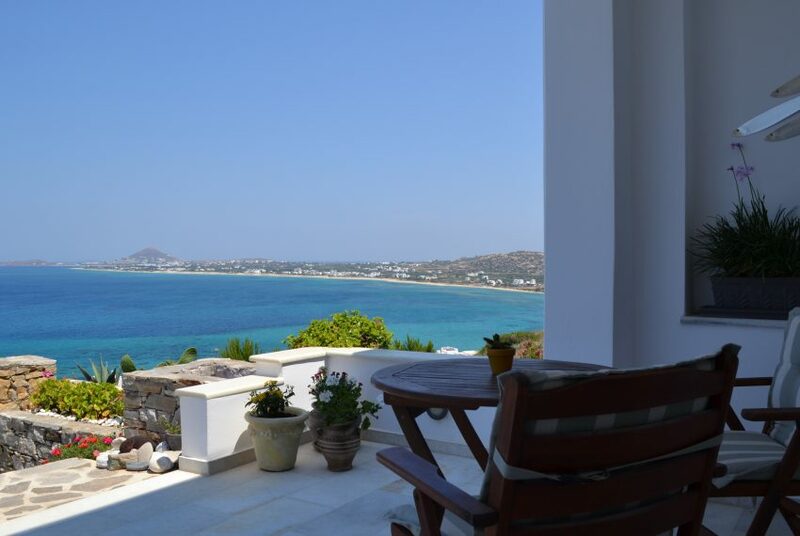 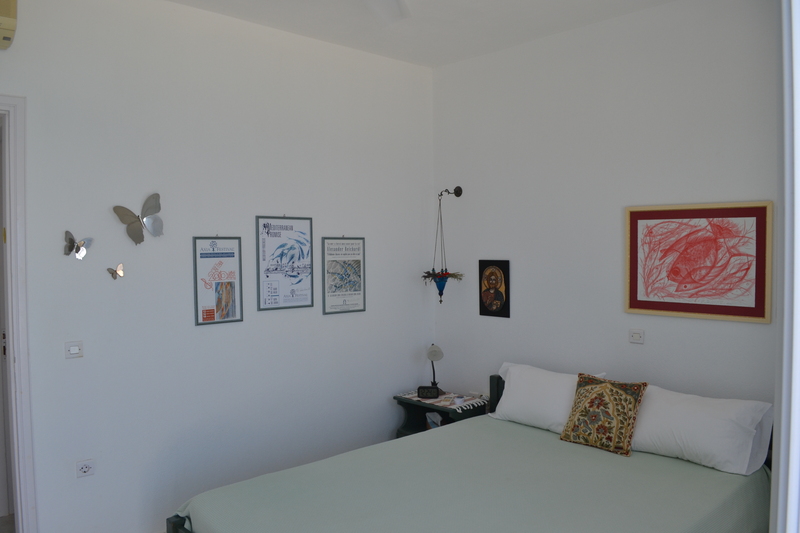 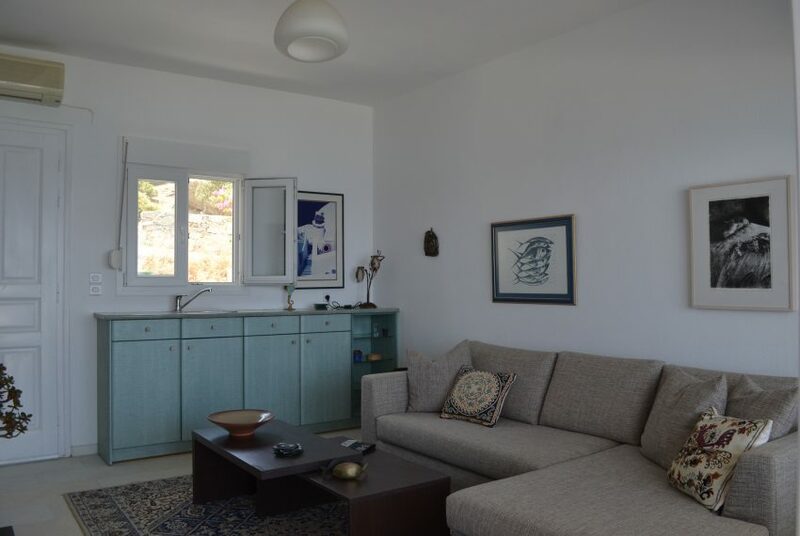 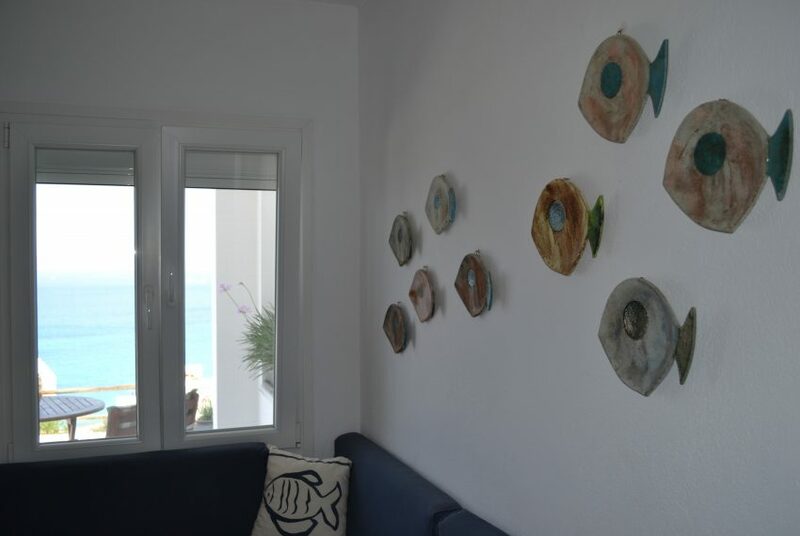 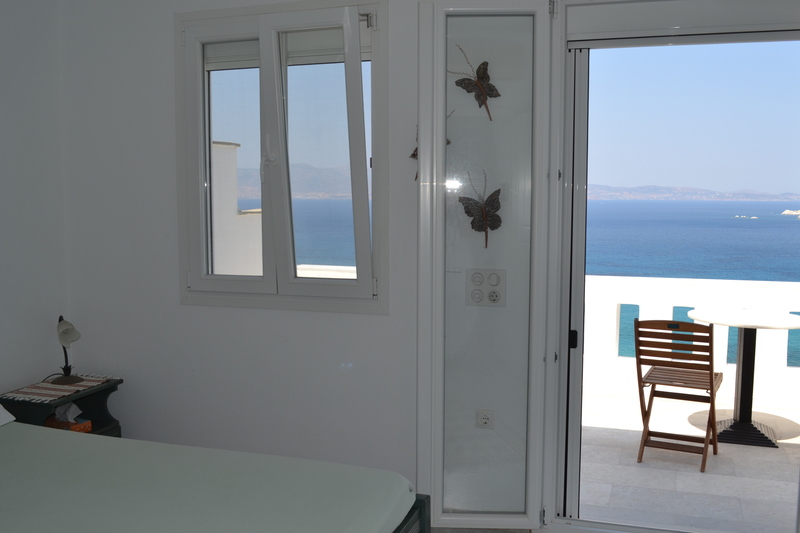 Situated on the beautiful west coast of Naxos with wonderful views across to Paros and the sunset, this house makes an ideal base to explore Naxos or relax in the local area famous for its windsurfing facilities and great beaches. 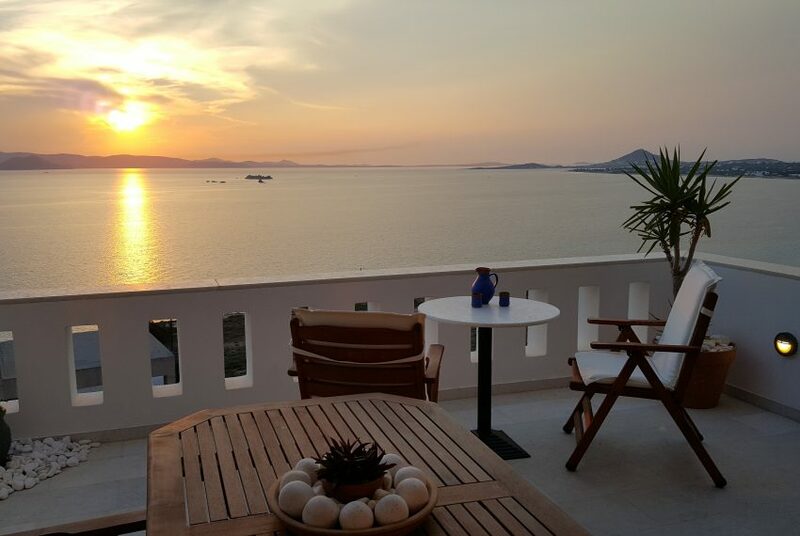 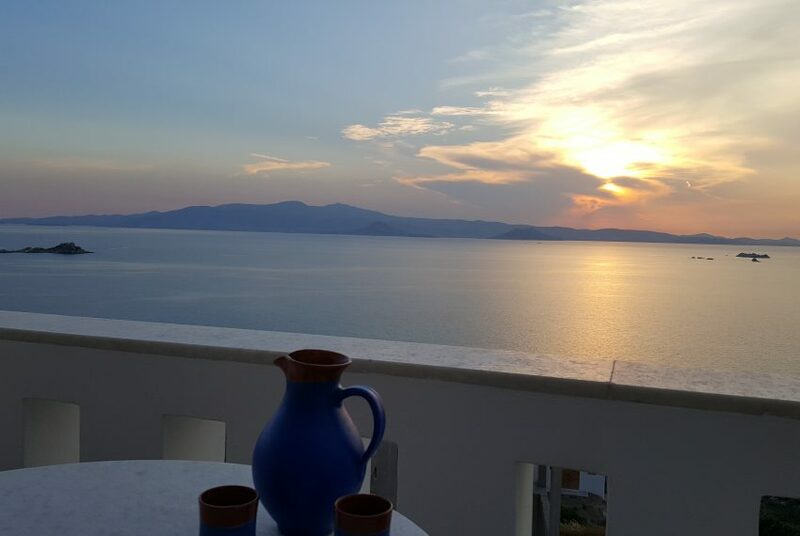 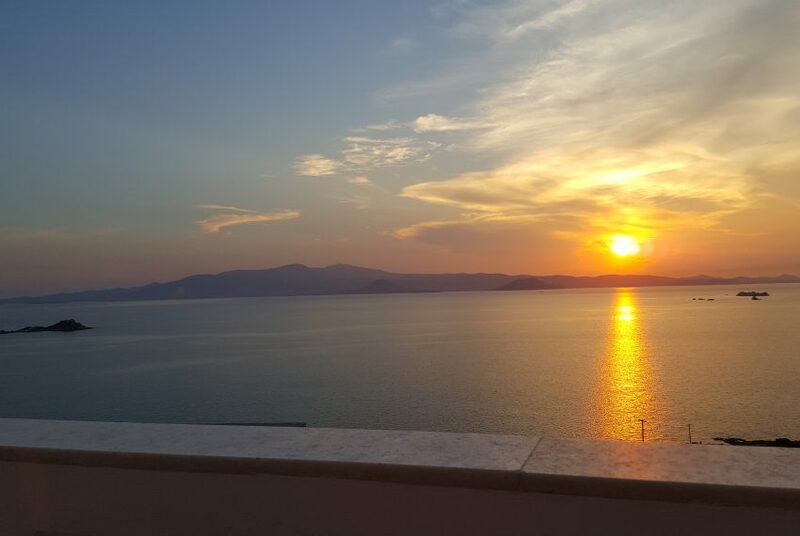 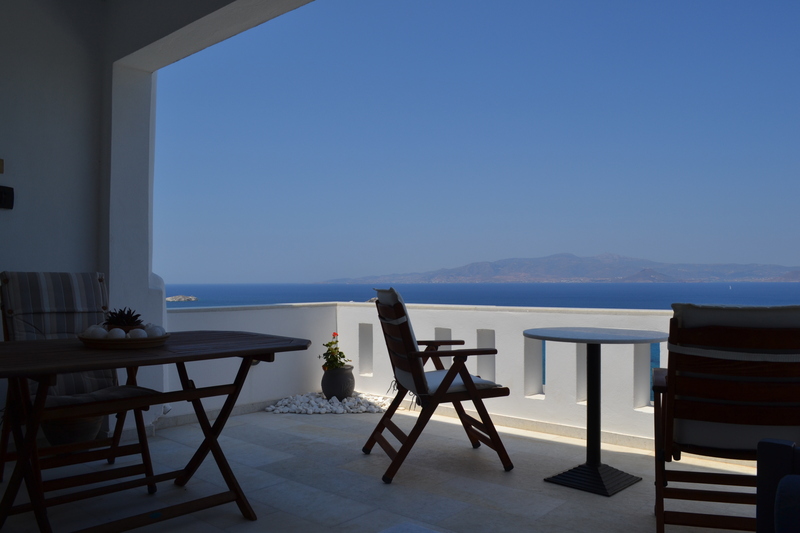 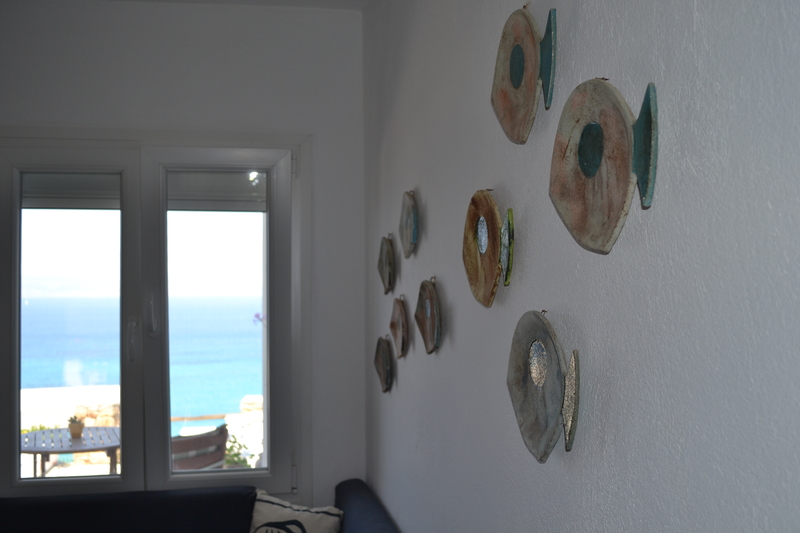 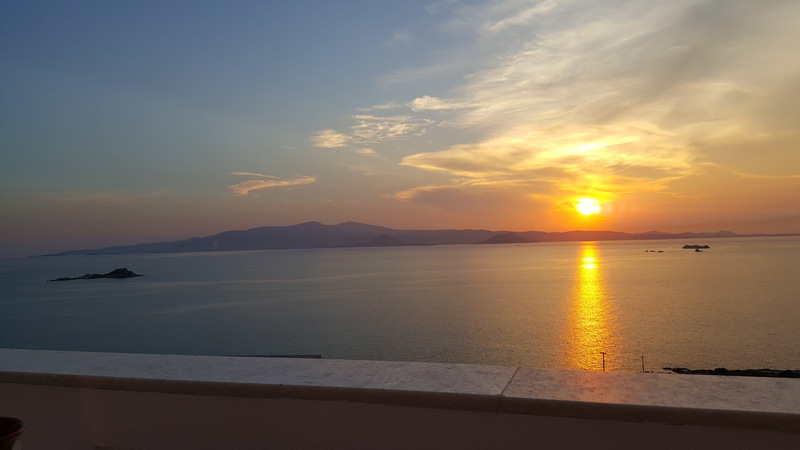 The seaview from the house is amazing and the sunset will be unforgettable! 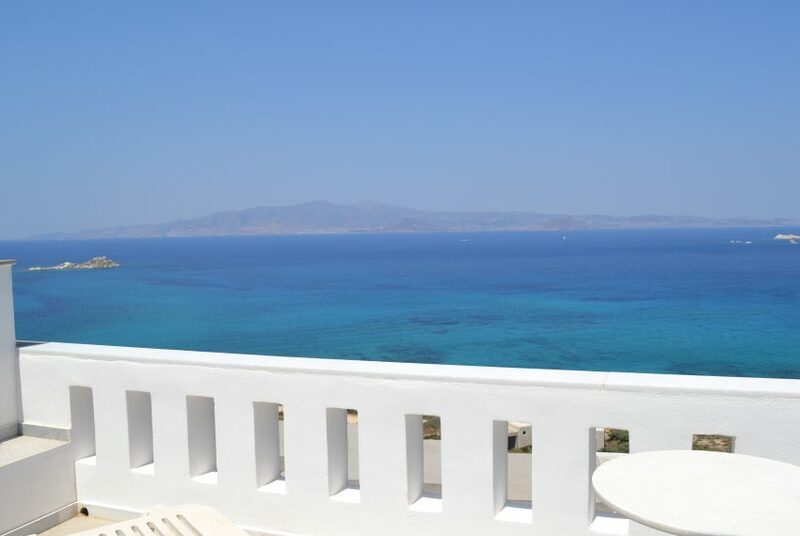 This beautiful sandy beach is the jewel of Naxos: Orkos beach lies between Plaka and Mikri Vigla beaches and it is an approximately 1 kilometer long beach with thick sand. It consists of two sections, a 700m sandy beach (right after Plaka) with trees along its entire shore and another of small coves of less than 100m length each, that form some sort of “private beaches” with thick sand in between sharp rocks. 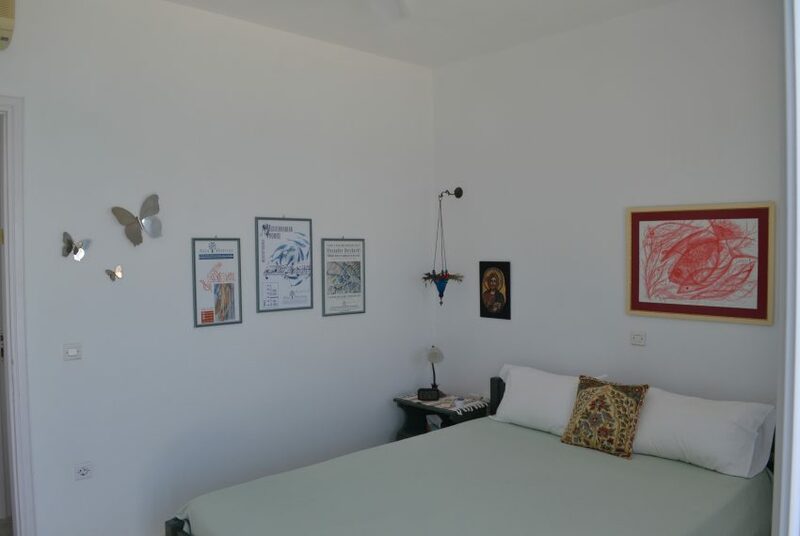 Orkos is a very quiet area where you can feel totally in relax with the sound of the sea and if you like to do windsurf or kite surf, the famous spot of Mikri Vigla is very close to the house. 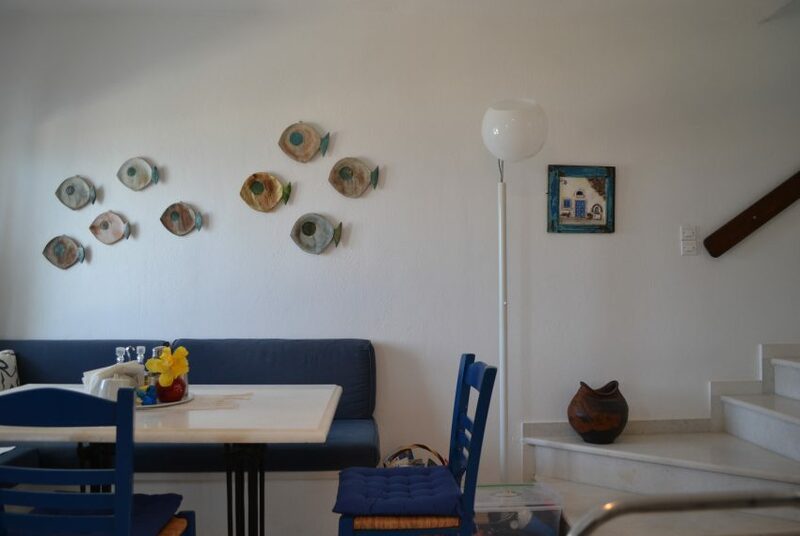 Restaurants and typical Greek taverns are just some minutes drive from the house on Plaka Beach. 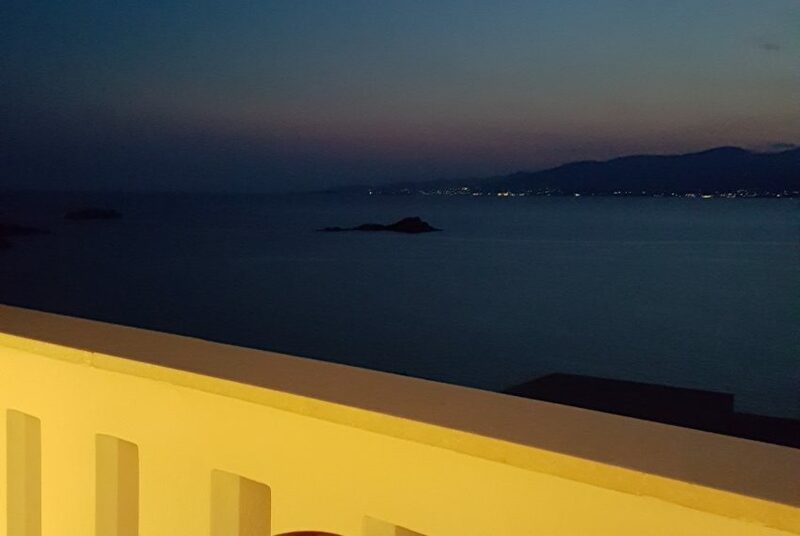 The environment is very quiet and relaxing. 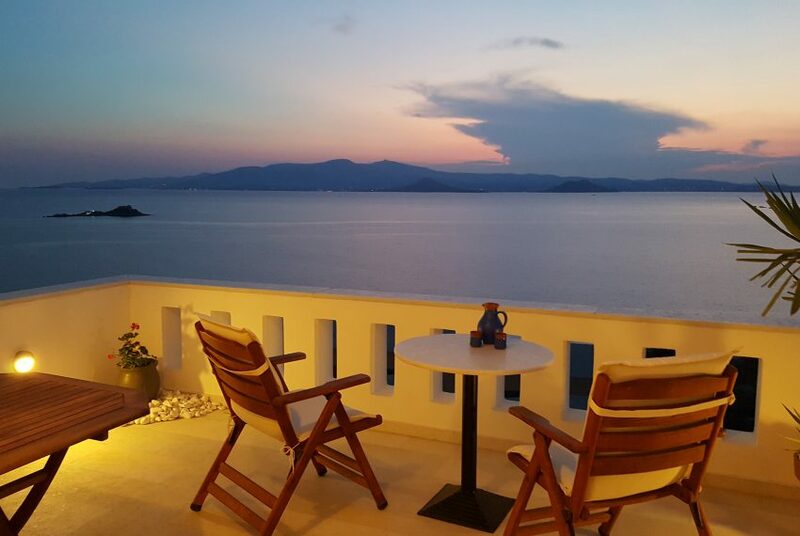 A long walk or a few minutes by car takes you to a variety of restaurants and discotheques by the beaches. 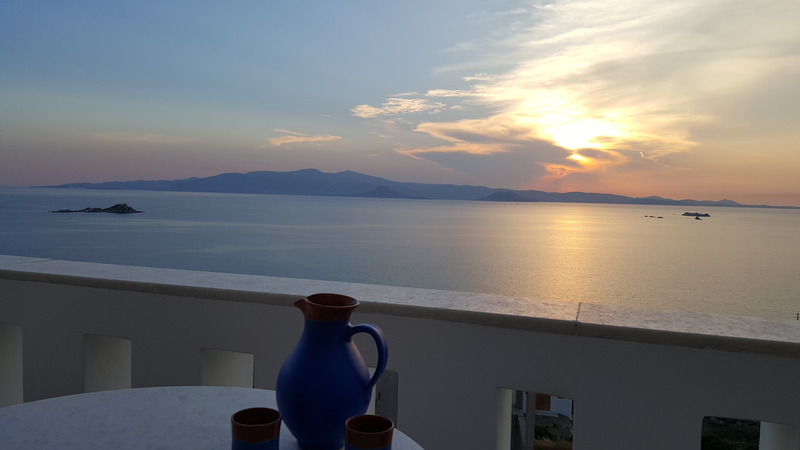 Naxos Town, which is about 20 minutes driving, has many nice shops and supermarkets, charming narrow streets and great taverns and restaurants. 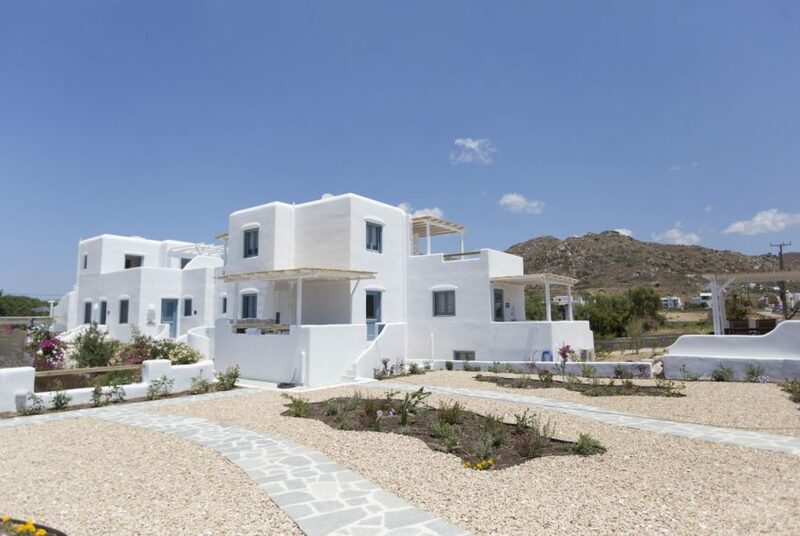 The house is on three floors and consists of two bedrooms, a kitchen, living room and two bathrooms. 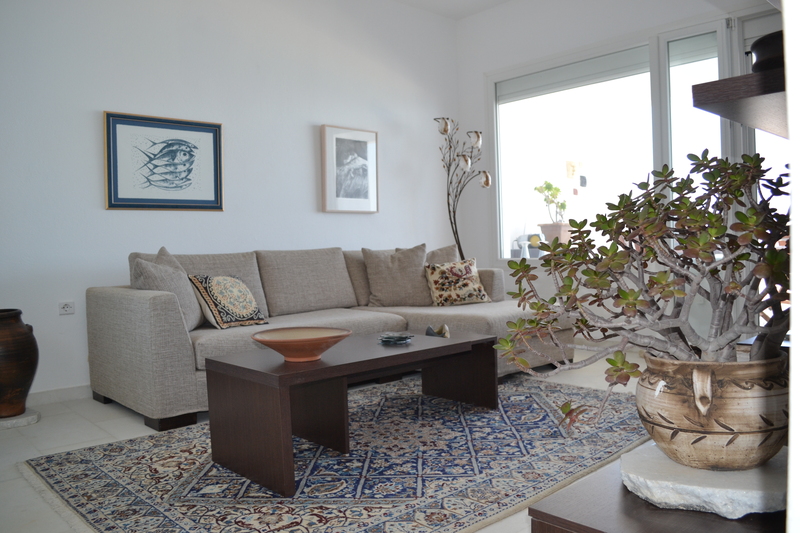 The first floor has a big living room with a balcony with fantastic view too. 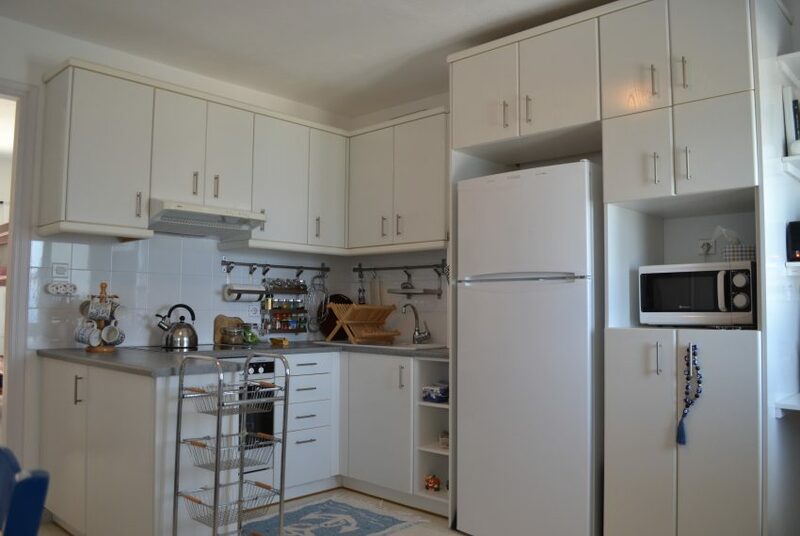 The lower floor has one bedroom for 3 person (with 1 single bed and 2 bulk beds) with en suite bathroom, balcony with barbecue and a kitchen with an eating area and it includes an oven with hob, refrigerator with freezer compartment, microwave and a washing machine. 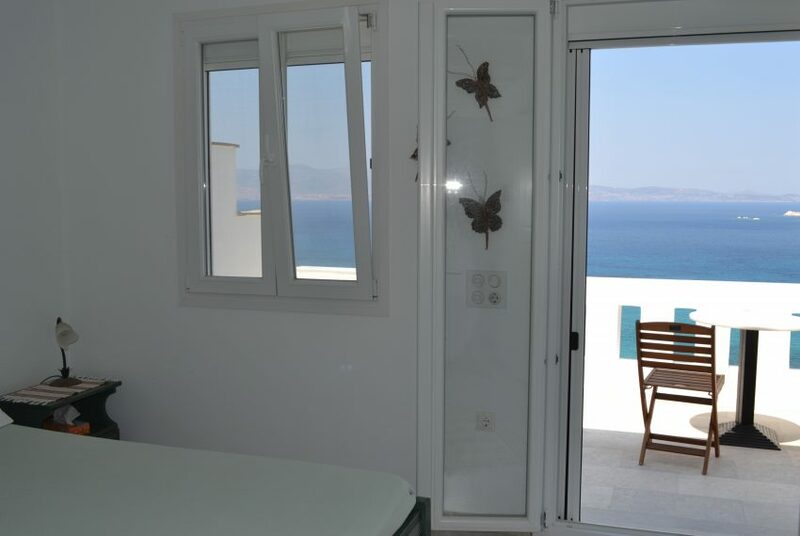 It has an enclosed balcony with sea view. 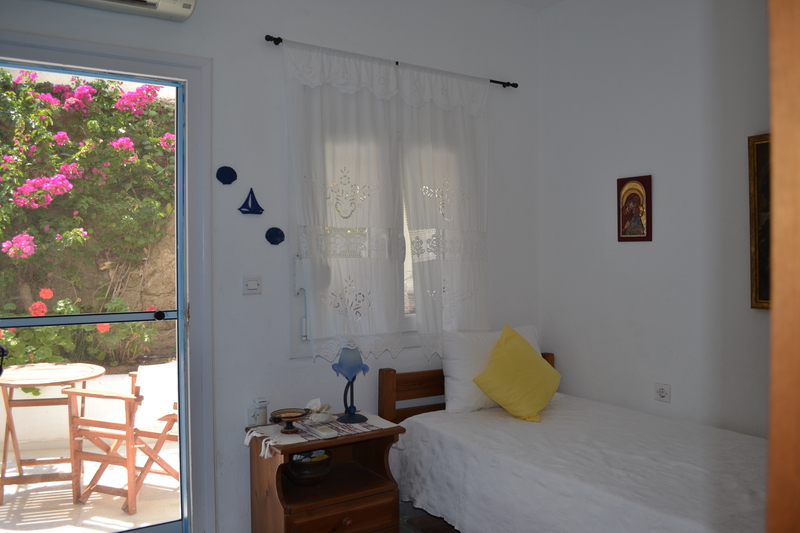 On the top floor there is one large bedroom with a big balcony with a wonderful view and one bathroom with a shower. 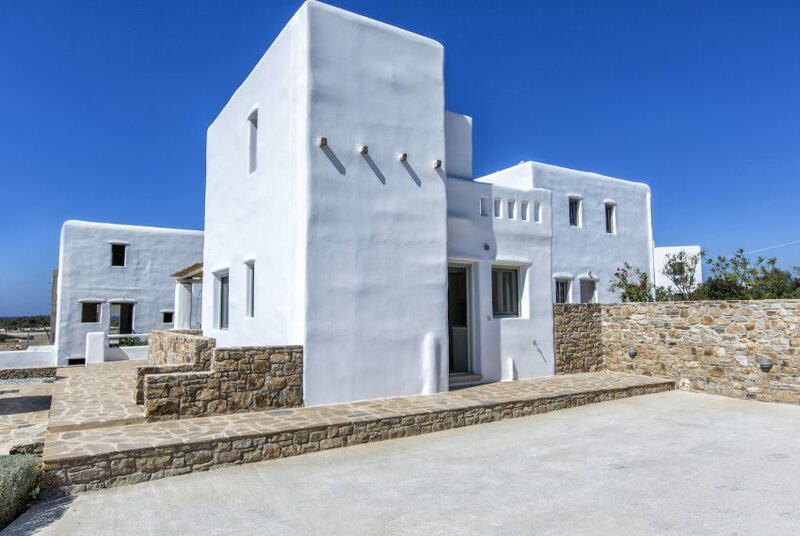 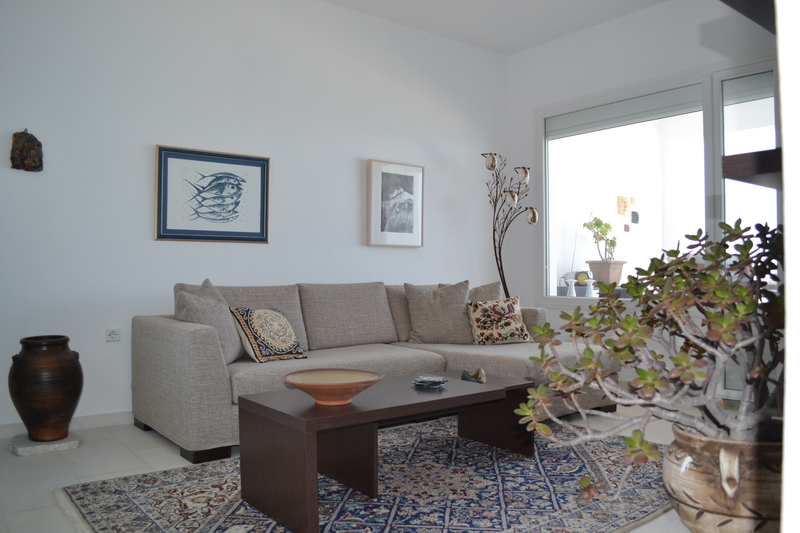 This house is built to a high standard with double glazed windows and doors, marble floors and it is fully insulated. 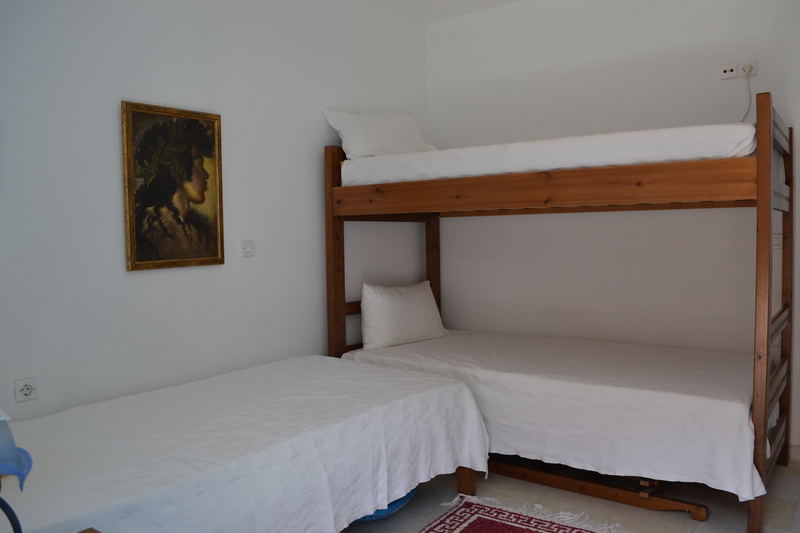 There is air conditioning in all the rooms and a fast satellite internet.